We know, we know! A picture’s worth a thousand words. Take a look at some photos, below, of our rides. You can also take a look at our instagram and facebook accounts to see more. 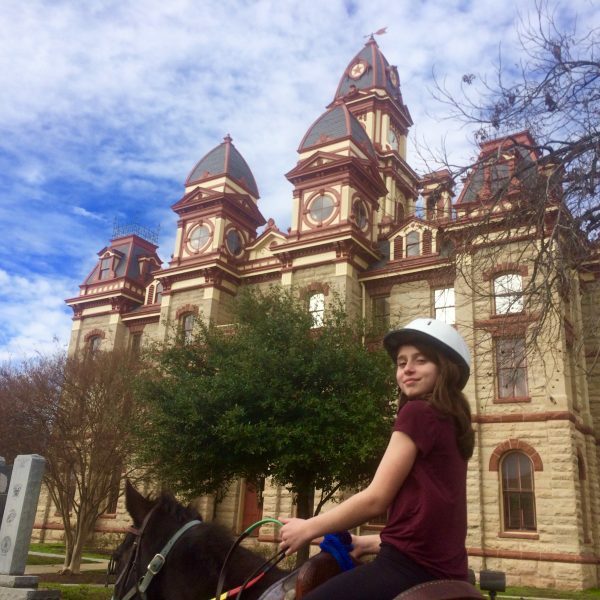 Our riding takes place near San Marcos and South Austin, TX. 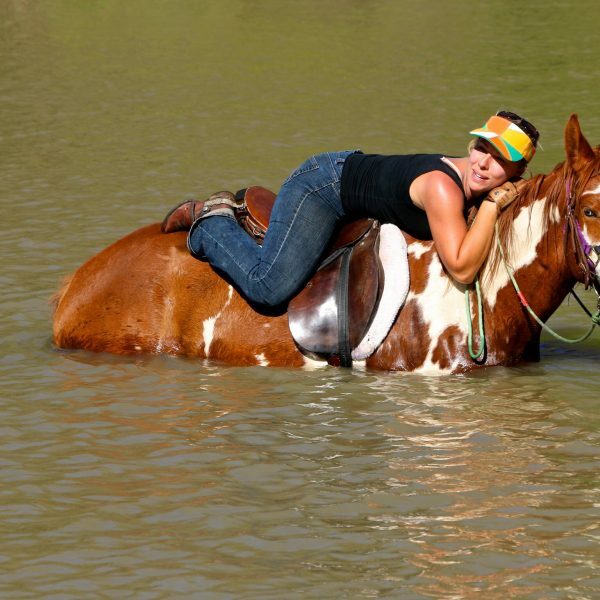 Enjoy a horsemanship lesson on beautiful trails with great photo opportunities. 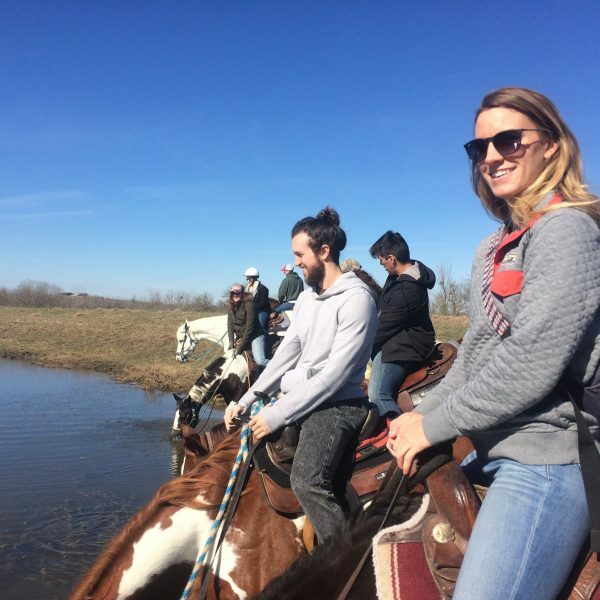 Both one-time riders and regulars will appreciate this peaceful place, amazing natural flora and fauna on our trails, and a horseback riding lessons you’ll never forget! Check out our reviews to see more photos and hear more about what the rides are like. Looking for a “trail ride” on unresponsive horses? That’s not quite what we do! While we have AMAZING trails with beautiful scenery in which we frequently see great blue herons, white cranes, deer and song birds, the experience is a lesson. It’s perfect for seasoned riders or total beginners who want to know what riding a horse is really like. The industry standard of trail riding does not give public riders a real equestrian experience. Trail horses poke along on a trail that’s all they know and it actually requires more skill to get the horse OFF the trail than to stay on it. Our horses are responsive, but understanding of beginner over-cuing, under-cuing and mis-cuing. 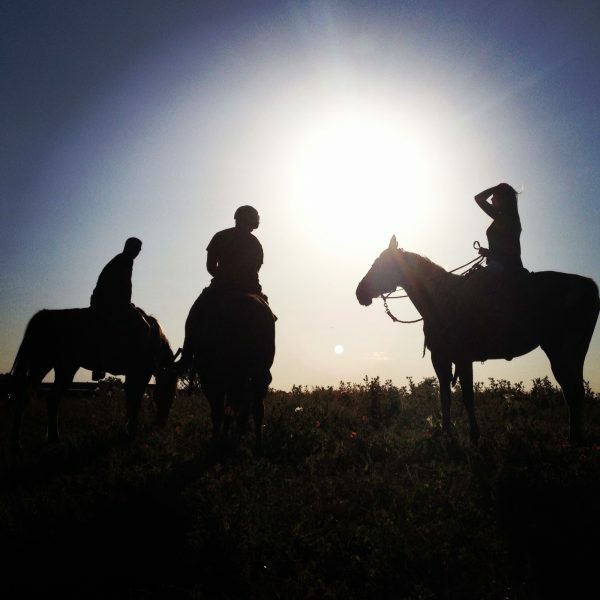 Our guides will provide patient instruction to individuals with different learning styles by offering a variety of explanations to make sure that horseback riders feel confident that they have the right tools to handle the horses. Hey everyone, Want to go for a swim? 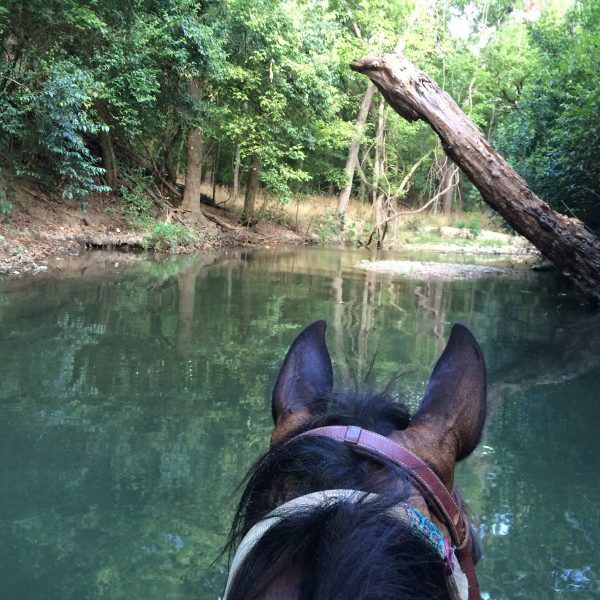 We take trail riding lessons through the hills, woods, water and beyond! Learn how to ride in a way that is safe for you and healthy for the horse. 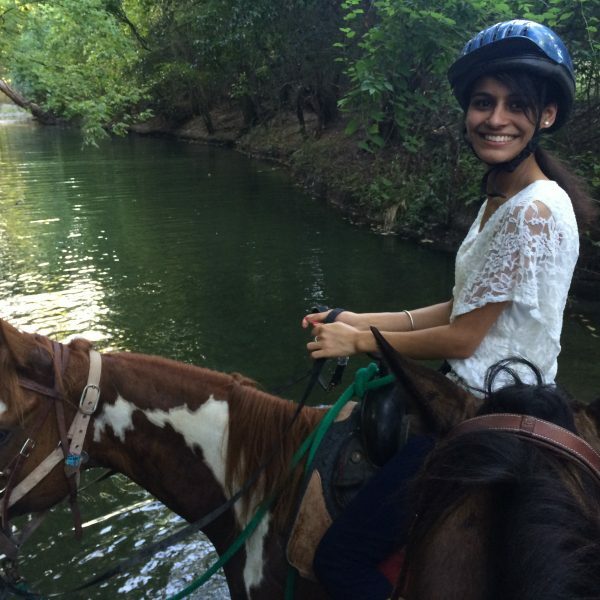 Looking for horseback riding convenient to San Marcos, TX? Look no further! We are just 20 minutes away from Texas State University in San Marcos. 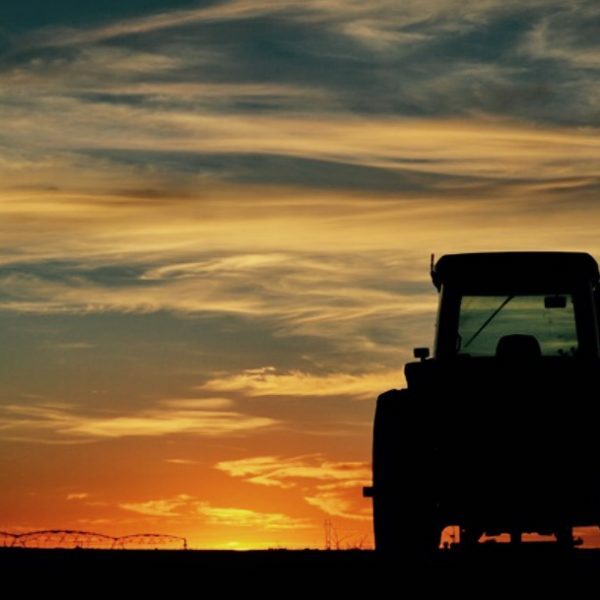 There is so much to do in South Texas and San Marcos. 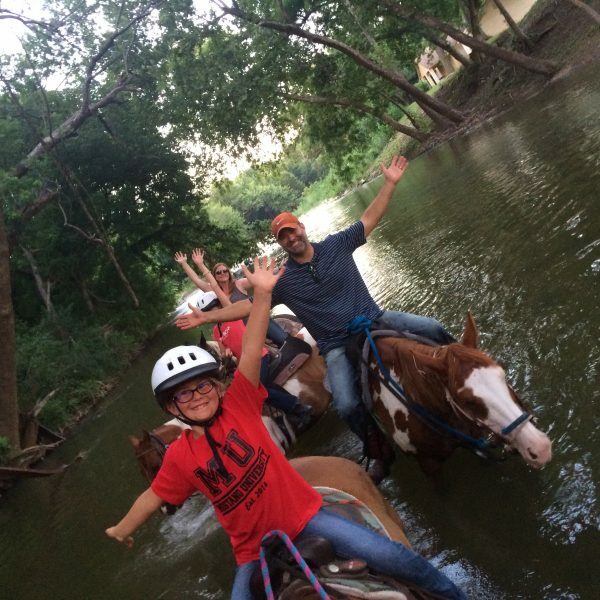 Make sure that a stop at Maverick Trail Riding Lessons is on your Top Things to Do list this year!